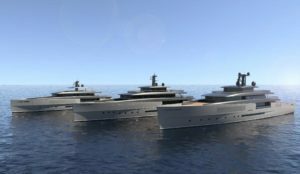 The partnership continues between the Rome-based firm and the Perini shipyard, a universal icon of Italian shipbuilding, with the choice of Zuccon International Project to design the new Heritage range, consisting for the moment of three 55, 65 and 75-meter models. Sailing history and tradition, in terms of both architectural language and onboard lifestyle, are the main sources of inspiration that have driven the development and definition of this new design experience. The partnership between Zuccon International Project and Perini Navi marks the start of a fascinating journey with a shipyard that has designed some undisputedly iconic sailing yachts over the years, as well as a few motor yacht projects, and embodies the finest expression of Italian excellence worldwide. The first three models in the range, M/Y 55m Heritage, M/Y 65m Heritage and M/Y 75m Heritage have been presented for the first time anywhere in the world at the Monaco Yacht Show 2018. Rather than setting off in a completely new direction, the starting point for the design process was the desire to be part of the tradition of a brand with a long and intriguing history. In the words of Bernardo Zuccon: “The new projects are each intentionally driven by Perini’s experience in the world of sailing yachts. 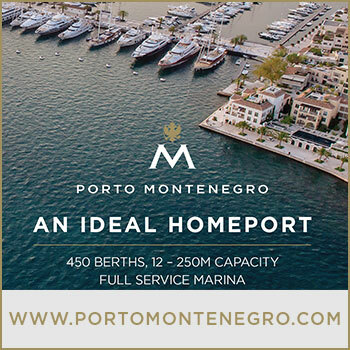 The very name of the range, Heritage, clearly signals our desire to draw on the culture of the shipyard, not least through the recovery of various style elements and by respecting a particular concept of life on board”. 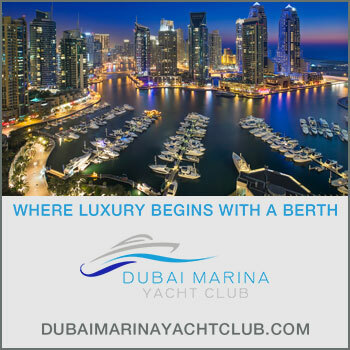 A key feature of how the owner and guests experience their life on board is the emphasis given to outdoor spaces, because Perini owners traditionally spend most of their time on board outside in the open air. “That,” explained Bernardo, “is why we’ve taken various elements from the world of sailing and transferred them to the motor yachts, not least the distribution of the spaces and their function. The hull’s lines and powerful styling are therefore what define the architectural object, as is the case on a sailing boat, where the hull is the key feature and the superstructures are seen almost on a par with accessory components”. The layouts of the first three Heritage models feature hulls that all have the same sharp, rigorous and minimal contours, as well as defining the outdoor pathways and seamlessly interconnecting the various decks. As a result, the outdoor areas are not only connected with each other, but the connecting elements themselves become ways to add value to the project: the stairways, for example, are no longer simply accessories, but play a strategic role in the design. 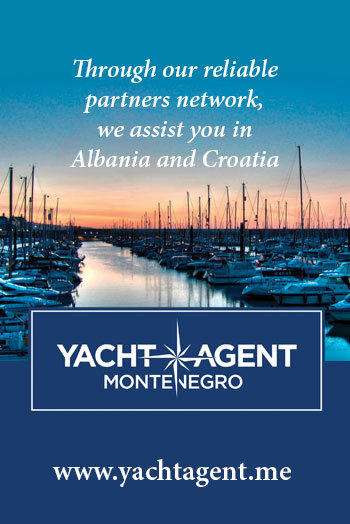 Along with the theme of interconnected outdoor spaces, the concept of ‘Nature’ is also fundamental and this too is borrowed from the world of sailing yachts. There will therefore be spaces on board that can be transformed to allow indoor areas to come into contact with natural elements like plants and water. This desire to bond with nature clearly affects the design of the interiors, in which there will be showcases containing bamboo plants, pools and small waterfalls, as well as influencing the choice of materials and their alignment with high sustainability standards. Bernardo and Martina Zuccon have designed the compartmentalisation and exterior styling of the new Heritage range in parallel with the development of guidelines for the interiors. Given the strength of the bond between interiors and exteriors, only one language is need for both, remaining almost unvaried in the transition from exterior to interior during the process of discovering its ‘places’.